Harvested by hand from the banks of the Amazon, this incredible superfruit is the highest natural source of vitamin C, with up to 60 times more than oranges! Unlike synthetic vitamin supplements, Camu Camu contains all the vital flavonoids and co-factors that synergize together in your body. This rare and 100% pure form of Camu Camu comes from a pristine part of the rainforest. It's quickly becoming one of the most sought-after vitamin C sources in the world. 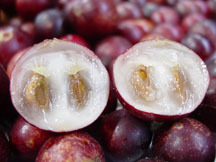 To produce our pure Camu Camu powder, the fresh berries are carefully harvested from a pristine river basin then taken to an organic processing plant where the berries are washed, pulped and dried at low temperatures. The powder is then sifted so that only the smallest, most bio-available particles pass through. The finished product is a 100% pure dehydrated powder with 18-20% naturally-occurring vitamin C content. 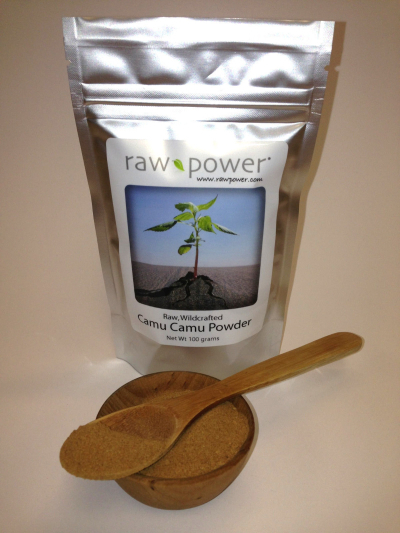 This Camu Camu powder is intense. Add just a teaspoon to smoothies and juices for a super-nutrient boost.